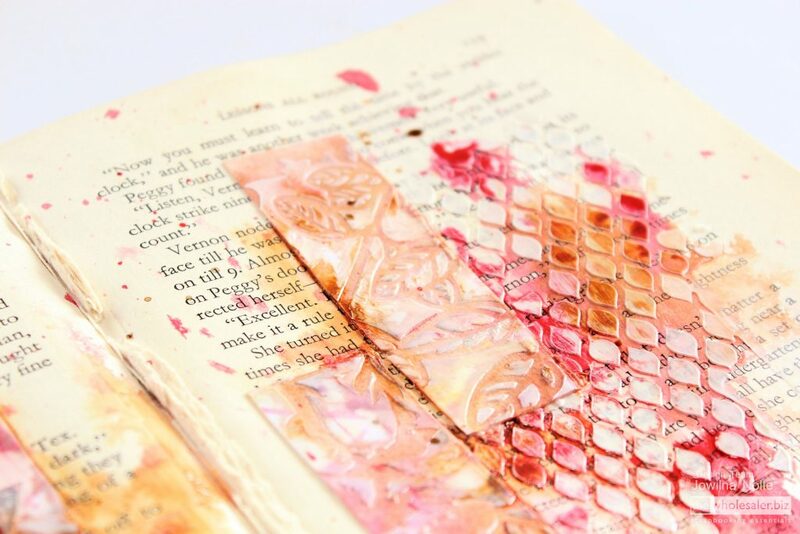 Altered Book Spread – Jowilna’s Advanced Class. 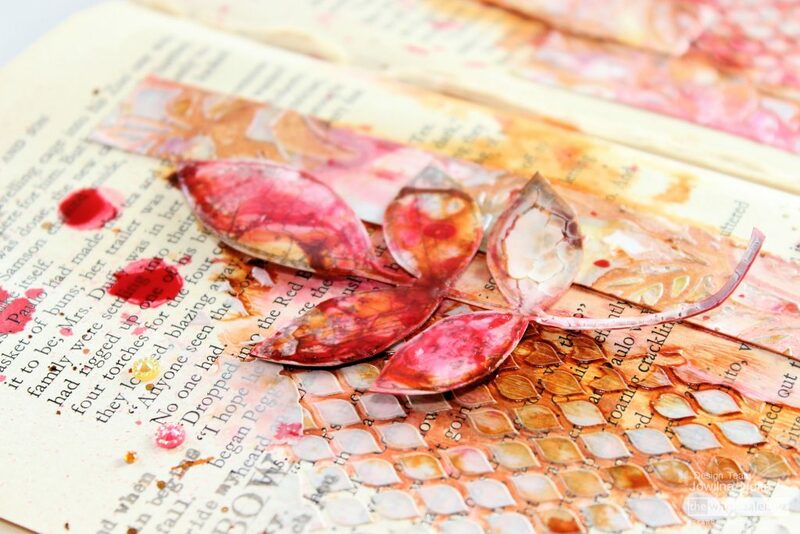 I love using book paper in my projects, and what better than using an entire old book to create something beautiful. 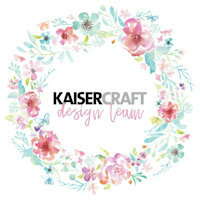 I used a spread in my old book to create an altered page – combined with stenciling, texture and All-Purpose Inks I create loads of interest. 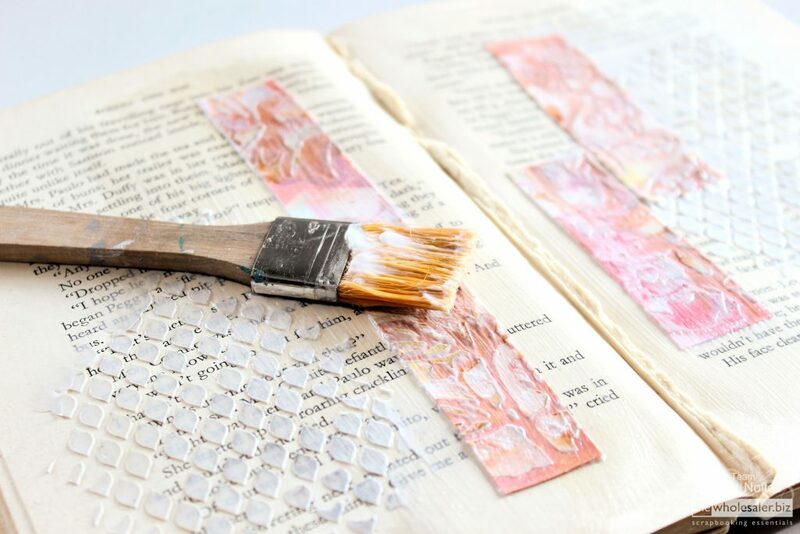 step 1 – Use a stencil and texture paste to add some texture to the spread. Leave the paste to dry. 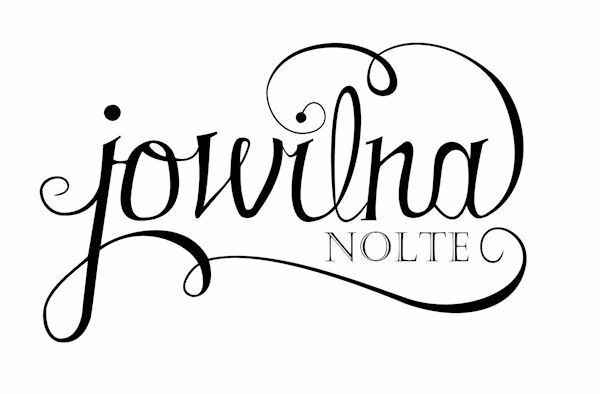 step 2 – On a sheet of white smooth cardstock add some more stencilling and then add colour using All-Purpose Inks. Leave the sheet to dry and then cut into small strips. 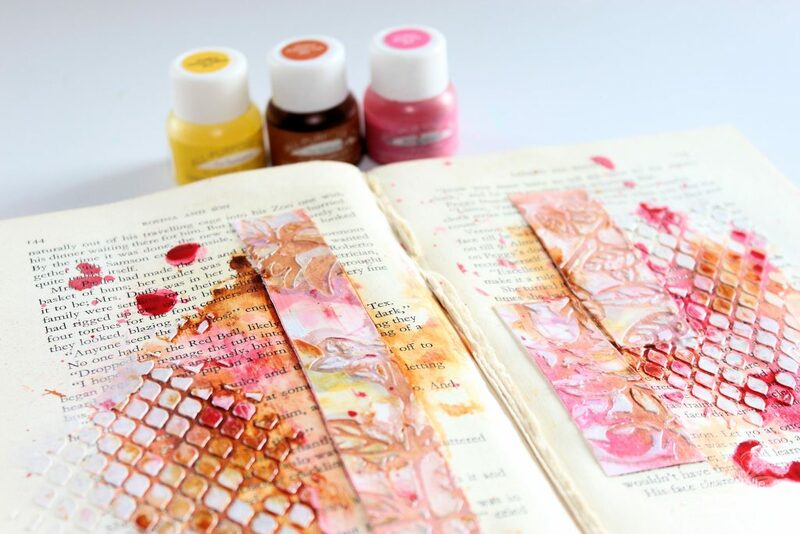 step 3 – Adhere the coloured and texture strips to the book spread using gel medium and leave to dry. step 4 – Use a pipette to add colour to the spread. 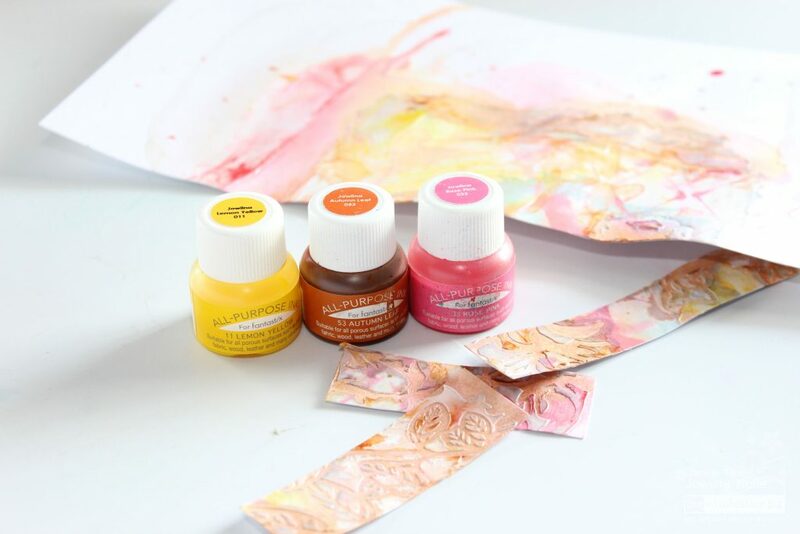 Once you add the colour lightly mist it with water and let the ink run and blend. 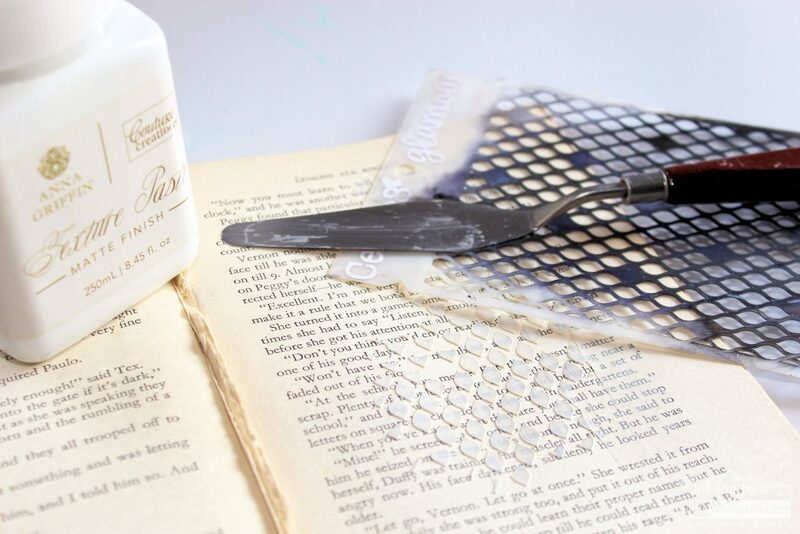 Leave the ink top dry or use a heat gun to dry. Lift the book up to make the ink run to add even more interest. 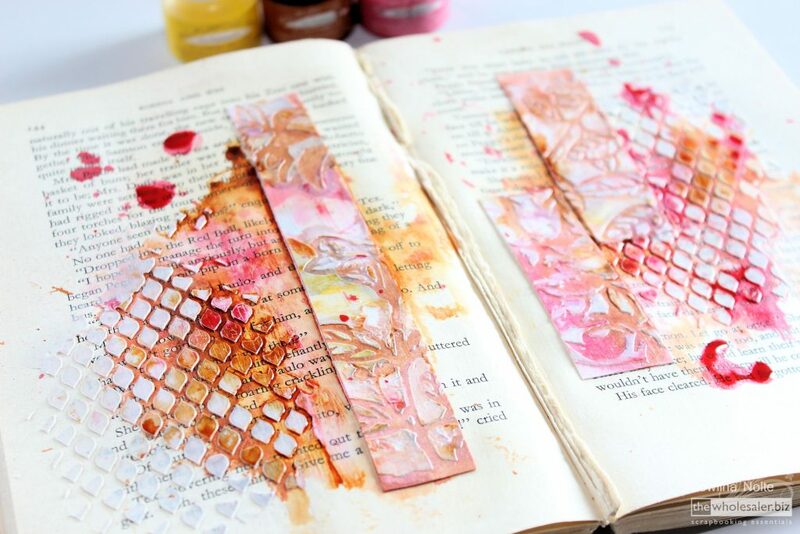 TIP: I mist the pages with water, then drop some colour onto the wet page and then mist again with water. This way the ink blends and spread. 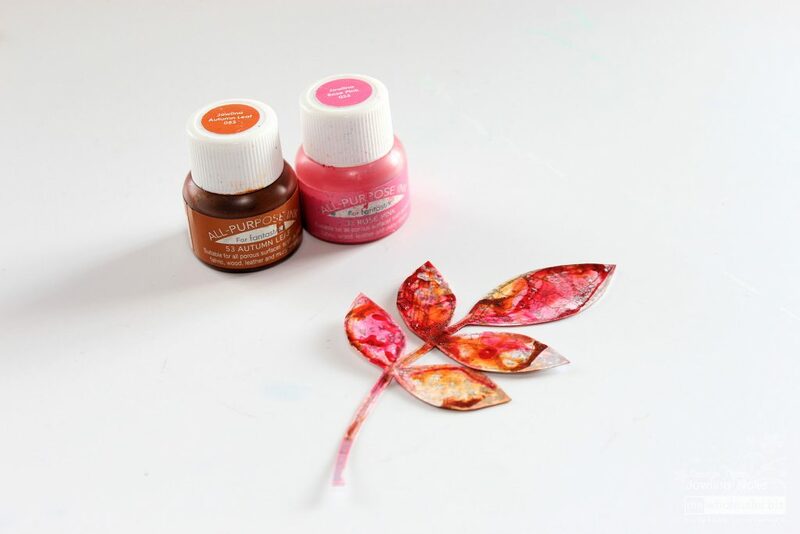 step 5 – Stamp a leaf image onto white cardstock and then add colour using all-purpose inks to add colour. Use a heat gun to dry the ink. 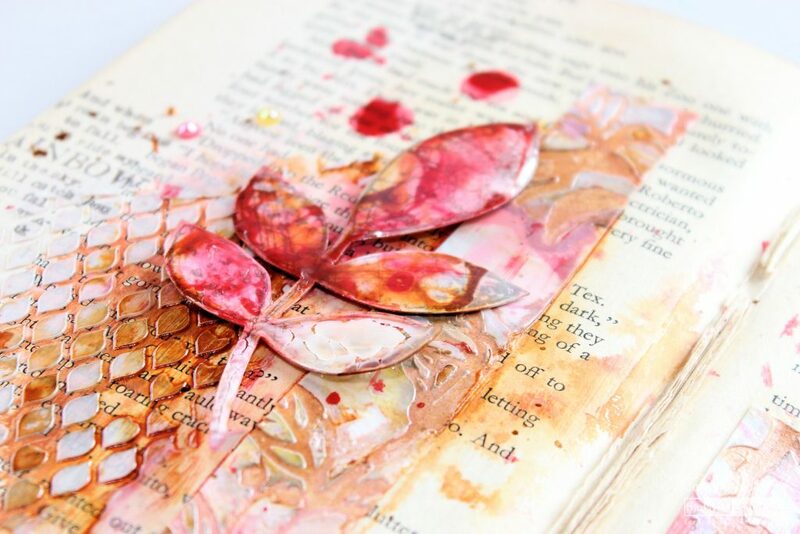 Adhere the leaf to the spread, add additional embellishments and stamping. 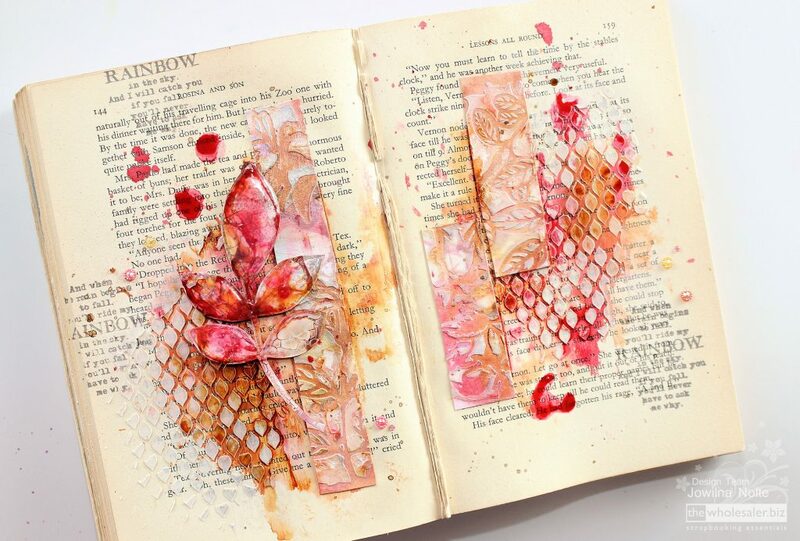 An altered book spread is a beautiful and creative way to use your old books and turn them into works of art.